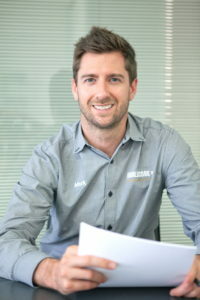 Buildcore Constructions reflects the values of our founder and Managing Director Mark Granger. Since starting the business almost a decade ago, providing work of the highest quality has been Mark’s driving force. A builder by trade, Mark takes a hands-on approach to every project. His communication skills offer clarity and certainty to body corporate, strata managers, building managers and homeowners. He hosts regular site meetings to keep his customers completely up to date with the building process. Project costs are clearly explained and documented. He’s flat-out committed to exceeding the expectations of our clients. Driven by innovation, Mark is constantly looking for new ways to make our project management even more efficient. His commitment to Quality, Integrity and Professionalism is what powers our business.